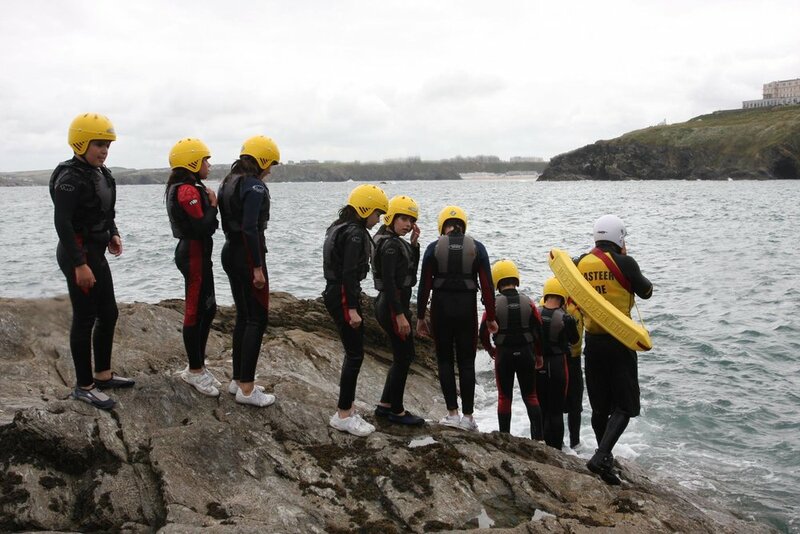 Coasteering is a great way to navigate and explore Newquay’s rugged coastline. Armed with a buoyancy aids and helmets you get to experience the thrill of jumping off platforms, exploring caves, getting up close to local wildlife and seeing natural whirlpools. Each trip is specifically tailored to age and experience levels so your group will be in safe hands. All of our instructors are specifically trained and qualified life guards. If you are a looking for a great confidence boosting or group activity for your week you cannot go past coasteering. All safety equipment is provided but you will need to bring old footwear for climbing on rocks. 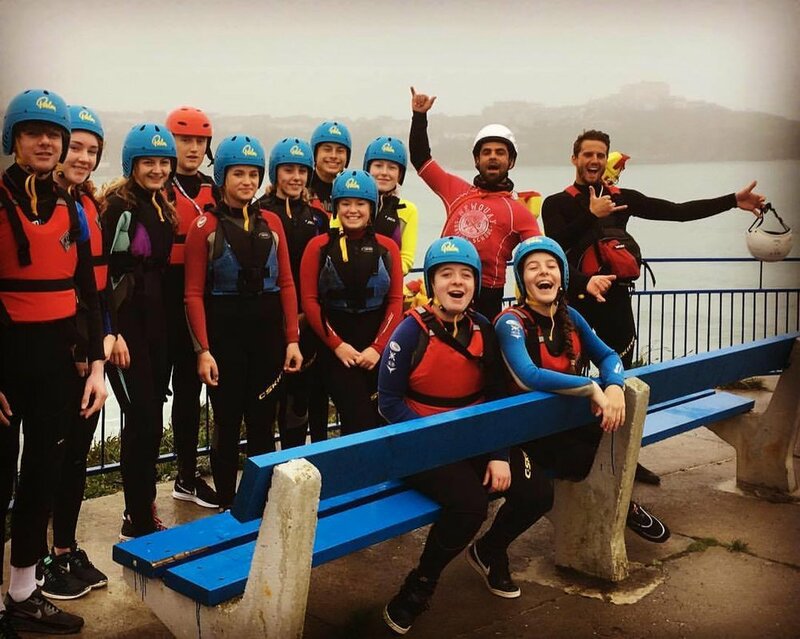 All water and beach based activities are carried out by our partner company Newquay Surfing School (AALA R2169) .